Christmas is coming... I cannot believe it is that time of year already! So as always all those fabulous gift sets and bargain offers are hitting the shelves! I love both giving and receiving pampering treats you always know that if you get someone a nice bath/body set they'll use it (why wouldn't they?!) so they always make fabulous xmas gifts! The set I am reviewing today is from a brand that I haven't actually used myself previously (but have heard of, of course) and that is Joules! This is the Sensational Skin Care Kit or the " Terrific Treats Bath Wash Trio" and it consists of 3 300ml products. Like I said before I haven't previously tried any Joules products so when the opportunity arose I couldn't wait to try them - I love finding new brands to fall in love with! First up I want to say how much I love the packaging! It comes a super cute floral box (which I haven't pictured very well here sorry!) which I am now using it as storage, it is fantastic to stand my products in in the bathroom and looks gorgeous! They all have the same scent - a gorgeous sweet but fresh smell which isn't too over powering! It actually reminded me of something and when I asked my Mum she told me it's because she uses Joules all the time - no wonder I recognised it! I was so excited to start trying this trio, especially as lots of my shower stuff seemed to have run out at the same time! All 3 steps foare just £18 - that's just £6 per tub and at 300ml per tub that is a bargain, after using this stuff for a few weeks now I can tell that it is going to last ages! First up is the body soufflé. This is the first sort of product like this that I have used. I usually use a shower gel but this stuff is totally different. 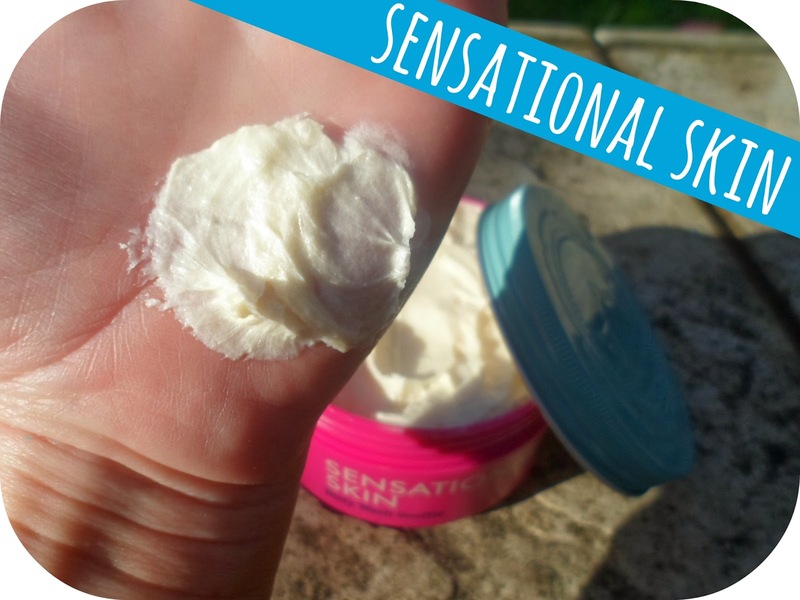 Like a thick body butter for the shower, all you need a small scoop which feels like a moisturiser but lathers up like a gel. It's like a shower conditioner and I've actually found it works so well when used after the scrub (up next) - it makes my skin feel so smooth, soft and fresh! Top marks - it's like a pampering treat.. everyday! Scrubs are something I like to use alot - especially at this time of the year with dry skin and fake tan prep! I have so many favourites which are mainly soap and glory and normally I find them hard to beat but this stuff is lovely. 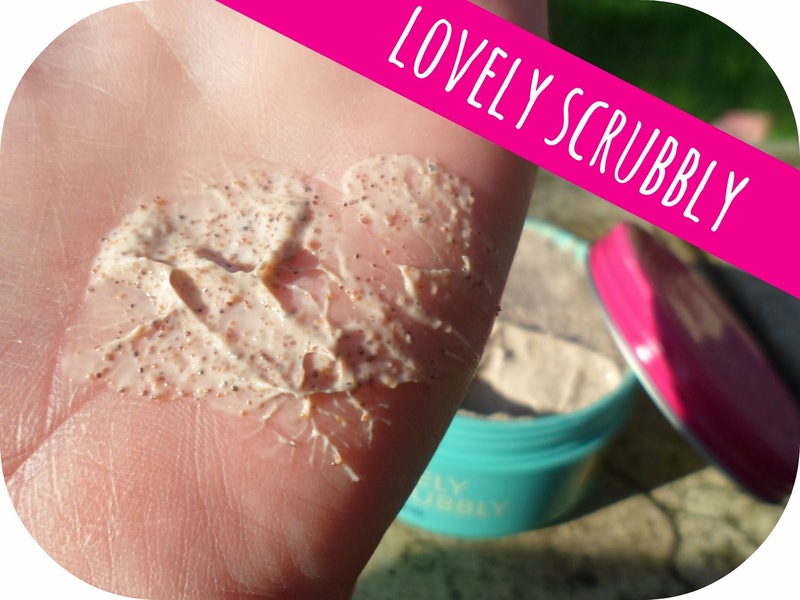 The grains are just like sand but it doesn't feel harsh like some other scrubs, leaving my skin perfectly exfoliated, soft and smelling yummy! 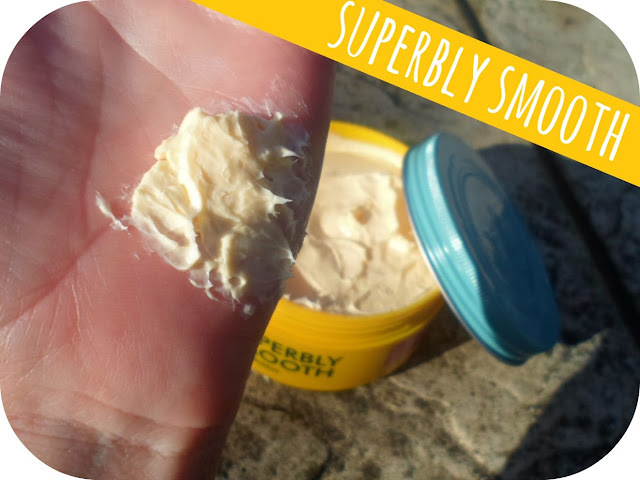 Last but not least is the body butter named Superbly Smooth! This is a fantastic finishing touch to the set, perfect for your whole body and what amazing quality! Thick and creamy this stuff keeps my skin hydrated and smelling lovely. All in all this is a fantastic gift set! The quality is superb (just like the name of the butter!) and I think the value for money is top notch! You get so so much of each product - they will last for months and months! 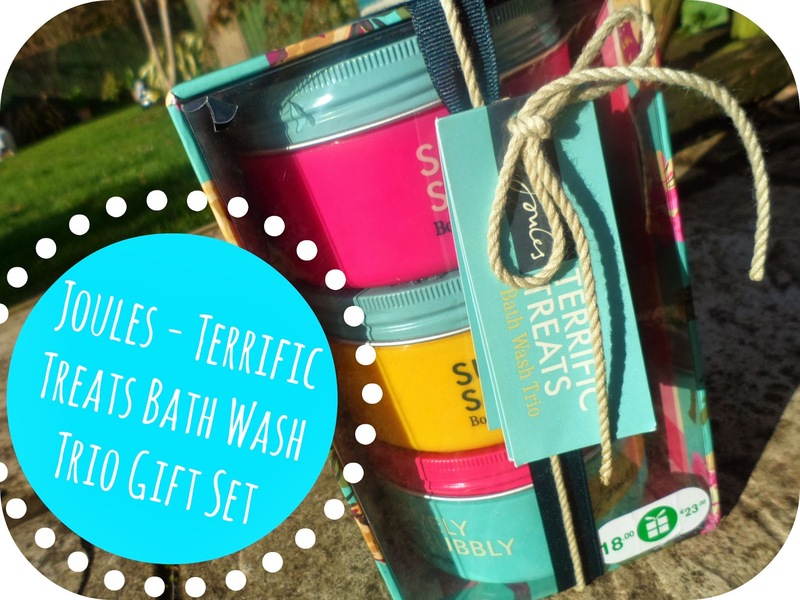 You can get this set in Boots - along with lots of other Joules goodies, and they are all (as far as I know) in the 3 for 2 Christmas offer, barry bargain central! 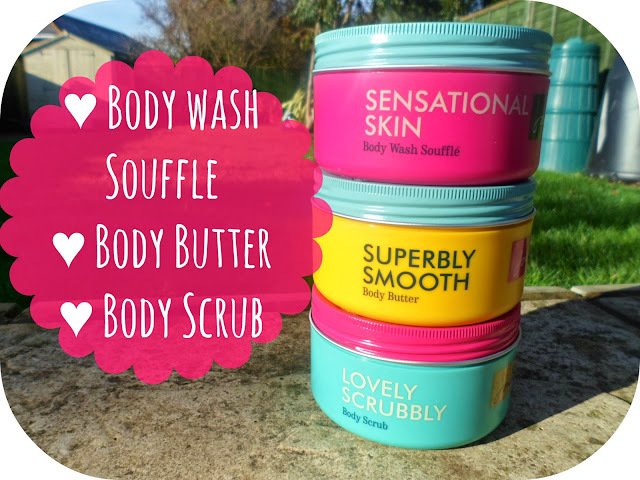 So whether you're looking at treating yourelf or planning those Crimbo pressies I highly recommend this trio, high five Joules - I am impressed! Have you tried any Joules? What are your favourite gifts to buy people? Don't forget - my giveaway will be ending in the next week - click here to check it out and enter for your chane of winning 5 of my all-time favourite products! I love a good bath set! In fact, I have on my list to buy a few Soap & Glory ones to give out for the holidays! I don't think we have this brand in the US but it looks wonderful! These look and sound fab. I've never used anything from Joules before. This would make an amazing Christmas present for any beauty lover. I love the colourful packaging on these! Lovely gift set, I might have to make a purchase soon! I'm a Beauty Blogger, Get Me Out of Here!